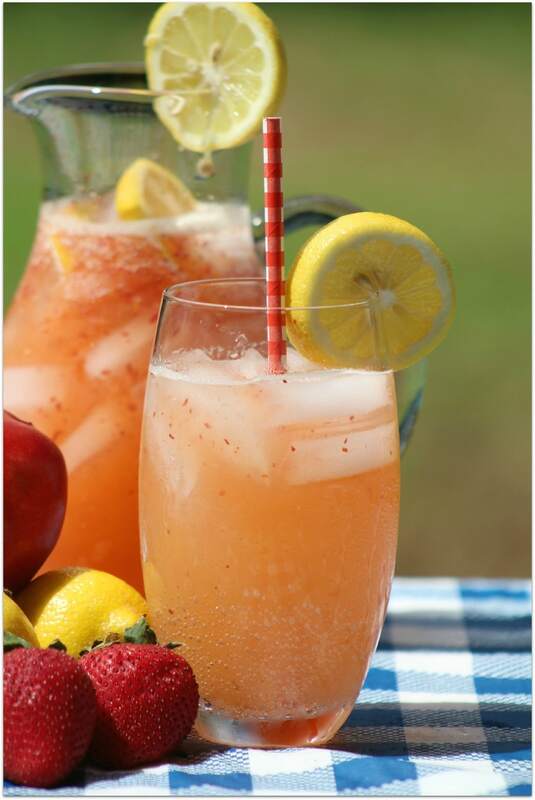 There aren’t many Summer drinks that are more refreshing than a tall cool glass of lemonade. Add in strawberries and nectarines, and you’ve got true deliciousness! 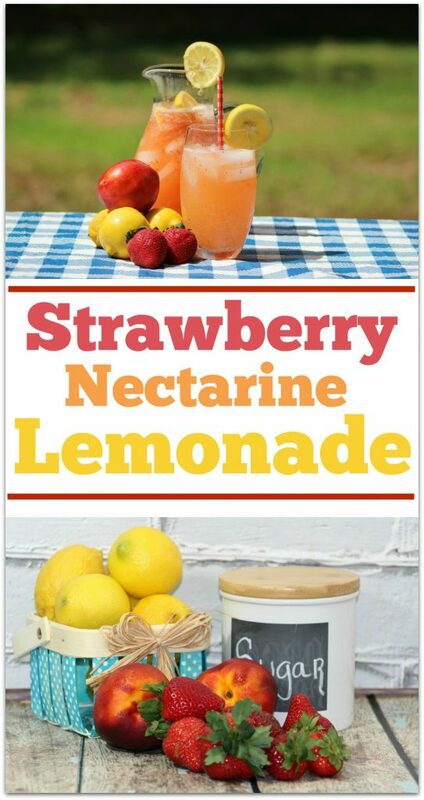 This recipe for Strawberry Nectarine Lemonade is the bomb! Having a party? You might want to make a double batch! Enjoy! 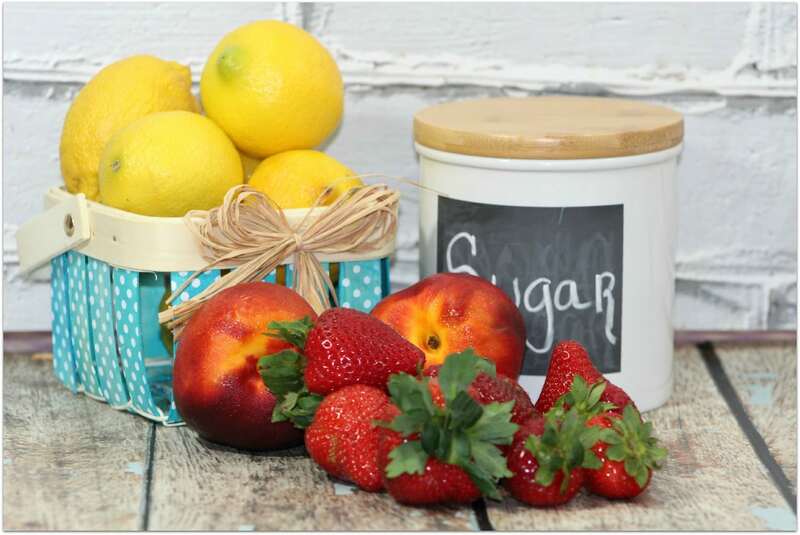 Combine the first water, Nectarines, Strawberry and Sugar in a medium saucepan over medium-high heat. Bring to a boil reduce heat to low, and simmer 3 minutes. Place Nectarine / Strawberry mixture in a blender; let stand for 20 minutes. Place a clean towel over opening in blender lid. Place 1/2 cup ice in each of 8 glasses. 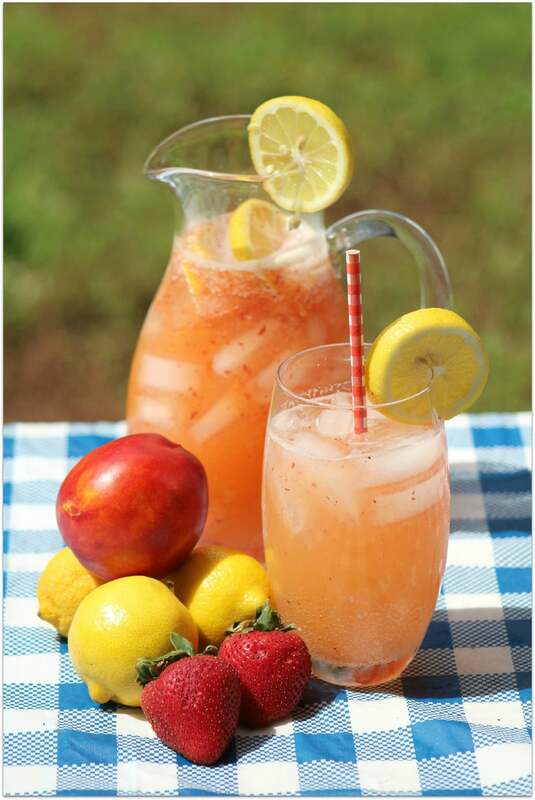 What would you serve with a tall cool glass of Strawberry Nectarine Lemonade? How about these Strawberries and Cream Cupcakes? Rather serve something savory? Try these delicious Bruschetta Melts! This looks very delicious. I like trying different drinks. Thank you for the recipe. It sounds delicious and so refreshing! Yum! These look so delicious and refreshing. Thanks so much for this great idea to quench your thirst. I love trying new lemonade flavors and this one is really unique!